Weak or Slow WiFi at your College Dorm? Connectify Hotspot can help! Back to school is both an exciting and grueling time of the year. A lot of times it’s about going to get new stuff and preparing for classes. Eric Johnson for Recode wrote a great article about what back-to-school tech people should buy, which include lightweight laptops, battery packs, and exercise headphones. In the article, Wirecutter Editor in Chief Jacqui Cheng mentioned that some gadgets like Wi-Fi extenders are a risky purchase because students do not have control over their dorm’s Wi-Fi network. 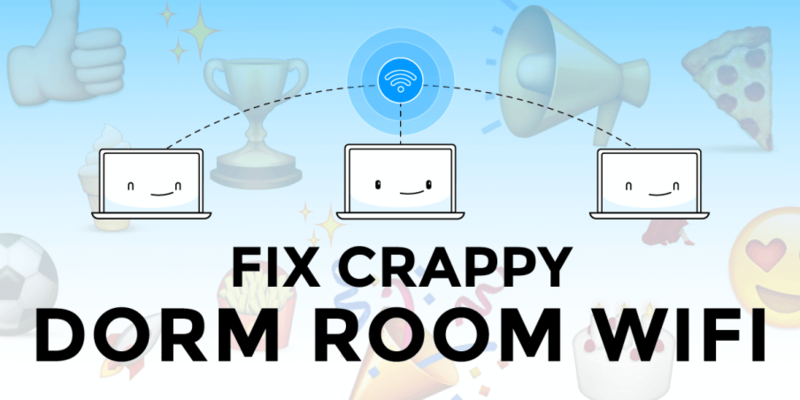 So the question is, how do we help students combat the crappy dorm Wi-Fi they are offered? We can’t control the ISP and speeds your college provides, but we can make your connection better and improve your Internet experience. Without adding weight to your backpack, Connectify Hotspot MAX offers you a Wi-Fi repeater. A Wi-Fi repeater is just what it sounds like: a product that lets you repeat or rebroadcast your main Wi-Fi, boosting its signal and allowing you to extend the reach of your dorm building’s network. Wi-Fi repeaters are typically hardware devices that can cost hundreds of dollars. 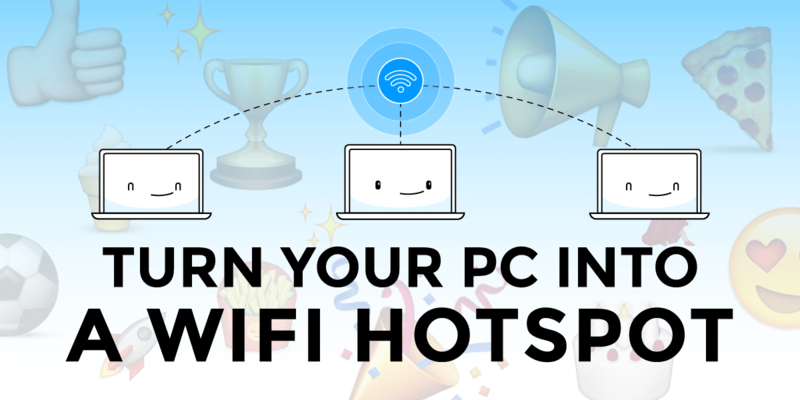 But, with Connectify Hotspot MAX, you can turn your laptop into a real WiFi repeater with a few clicks – and at a fraction of the cost. To setup your Hotspot as a Wi-Fi repeater, you must already be connected the your dorm’s Wi-Fi network. With Hotspot running, click on the “Wi-Fi Repeater” button at the top of your Hotspot screen. Yep, it’s that easy! Hotspot will broadcast an access point with the same SSID and password as the original network. Clients that connect will be bridged directly onto the original network using Hotspot’s network bridging capabilities. Alternatively, you can also create your own personal Wi-Fi hotspot with its own name and password but with your Dormitory’s WiFi network set as the “Internet to Share.” This is a useful workaround if you’re only allowed to connect a limited number of devices to the college’s network. Further more, Connectify Hotspot can also improve your Internet experience by blocking all those annoying ads, thus increasing the overall browsing speed and offering mobile devices that are connected to your hotspot a better battery life. When you run your hospot, just make sure the “Ad Blocker” option is enabled in the “Firewall” section of Connectify Hotspot. Download, install and purchase a Connectify Hotspot MAX license. Once installed, click the Wi-Fi Repeater Mode button. Choose the Wi-Fi network you want to connect to from the “Wi-Fi Network to Repeat” dropdown. Be sure ad blocking is enabled, for a smoother Internet experience. Click “Start Hotspot” button and you Hotspot will act as a repeater to extend your Wi-Fi signal. Keep in mind that when all students are trying to get their work done at the same time, it might decrease the quality of the Wi-Fi even more. If you’re really in need of a stronger connection while working on that last minute paper or just want to enjoy some streaming video, you can use Speedify. With Speedify you can combine all available Internet connections for one better, faster, and more reliable connection. Read more about that here.